Are you the type of engineer who punches juke boxes to make the music start? Do you consider riding your motorcycle off into the a sunset a personal hobby? Is architecting a system from the ground up no big deal to you? We're looking for full-time software engineer to make this happen. We are on a mission to revolutionize Sales industry using data science. Our product helps our customers to collect and enrich their target prospects. Our internal data processing combines human intelligence and data science to enable our customers to find perfect contact information and save to their existing platforms like Salesforce, etc. We are at an exciting stage in our growth. We are getting traction with big customers, scaling out, and solving increasingly complex engineering problems. Our systems are mostly written in Scala. We have used Kafka as backbone to communicate between our API server and micro-services. Smart architecture design is crucial in order to guarantee our micro-services based systems run smoothly and reliably. We have very complex integrations with 3rd parties systems like Salesforce, Gmail and etc. These integrations are core to what we're offering to our customers. This position will involve the development and deployment of machine learning technology in areas such as email signature extraction, account recommendation, company domain searching, natural language processing etc. This position will involve collecting training and test data set using DB scripts or Spark scripts. This position will involve writing APIs for clients to utilize your trained models. These personality traits define the culture we are building and are more important to us than a particular set of technical skills. If you join LeadIQ, you will learn a lot: In terms of technical ability there are many cool tools, technologies, patterns and other great developers that will sharpen your skills. Personally you be given the chance to step up, lead and make your mark in a growing startup as we tackle the challenges in our next phase of growth. At least one functional language. We're using Scala (or experience in e.g. Haskell or Clojure). You'll write Scala code to create APIs to access ML models. Python language. Our ML models are built with open source libraries that mostly use Python. Concurrency (futures, actors, basic understanding of threads). So if you feel like you're a good fit for us, drop us a line! We love meeting developers who are excited by our product! LeadIQ is based in 3 locations. Singapore is our engineering office. New Hampshire is our Sales & Marketing office. Our HQ is in the San Francisco Bay Area. We offer a sales prospecting automation platform to increase sales productivity. Currently we provide a slick yet simple way to build accurate prospect list, find contact info, enrich data, and sync to Salesforce. Soon we are adding the machine intelligence to remind our customers what accounts they should reach out and follow up. We also invest heavily on data engineering to boost our data quality. We are a tech-driven company and keep a close watch on recent scientific developments and emerging technologies. We love open-source. 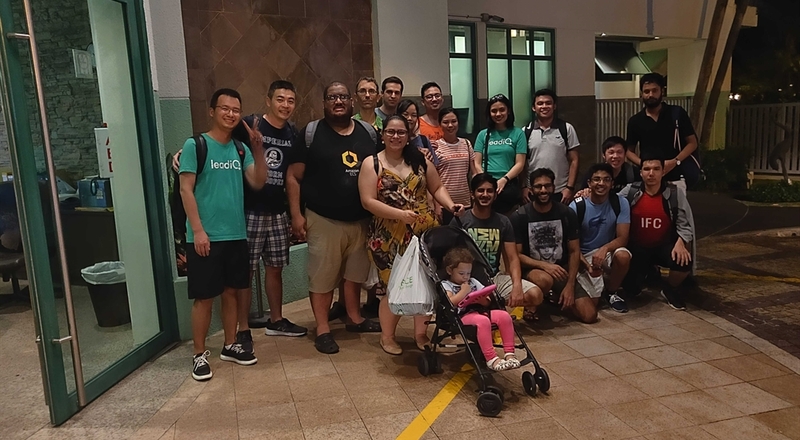 We are a very international team with interesting people from all over the world (At Singapore office, we have people from China, Germany, Italy, India, Taiwan, USA and Vietnam). We believe that that everybody should be able to find meaning in their work. We match assignments based on both ability and individual interests and discuss your progress and individual needs every 3 months. We understand that there's more than fancy perks to people's satisfaction and engagement. We constantly seek out your feedback to improve our environment to provide more autonomy, transparency and development opportunities. Grit: You have the mindset they always gonna succeed. You got something to prove. You are resilient. Energy: You take care themselves well and are able to bring positive energy to others. Growth: You're willing to learn and adopt. You want to create something bigger than yourselves. Dedication: You pay attention to details. You deliberately practice to improve your skills and knowledge. Ownership: Know the weight of the thing you're working on is on your shoulder and you're responsible for making it a success! We like to start out with a brief 20-30 minute session for a mutual introduction. We tell you about our company, product and culture and are happy to answer any questions you might have. From your side, we're mostly interested in understanding what kind of challenges you're looking for, what technologies you'd like to work with and what role you'd like to be in. If both sides agree that this could be a good fit, we move on to a more technical session. We will give you an assignment for you to work on at home. Then you will move on to the second technical session so we can spend some time with you to understand how you approach technical challenges. You will get to know our team well during the whole interview process. The final session is to understand your requirements and needs. You can ask tough questions like company directions, etc to help you build the confidence to join us. 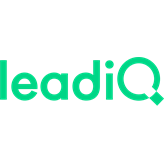 Want to get notified about new jobs at LeadIQ?